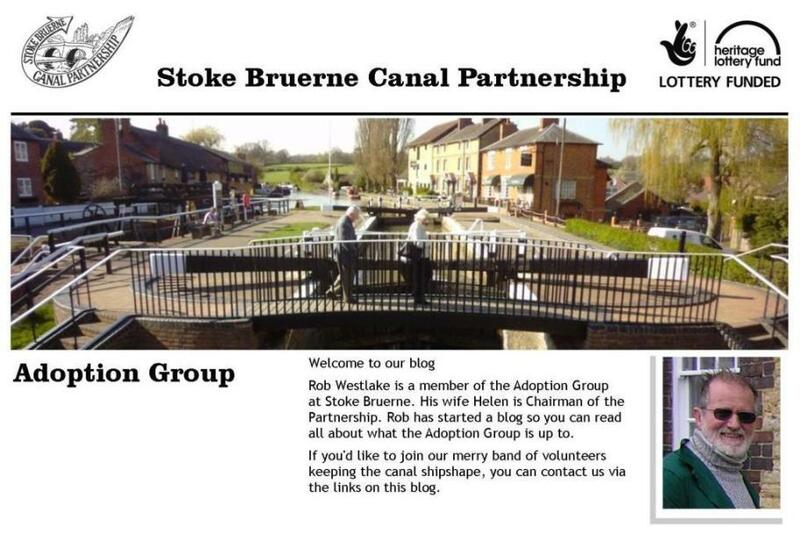 Stoke Bruerne Canal Partnership Adoption Group helped by IWA Northampton Adoption Group members - assisting the Canal and River Trust Construction Team with a temporary repair to the pound wall on the Stoke Bruerne flight. 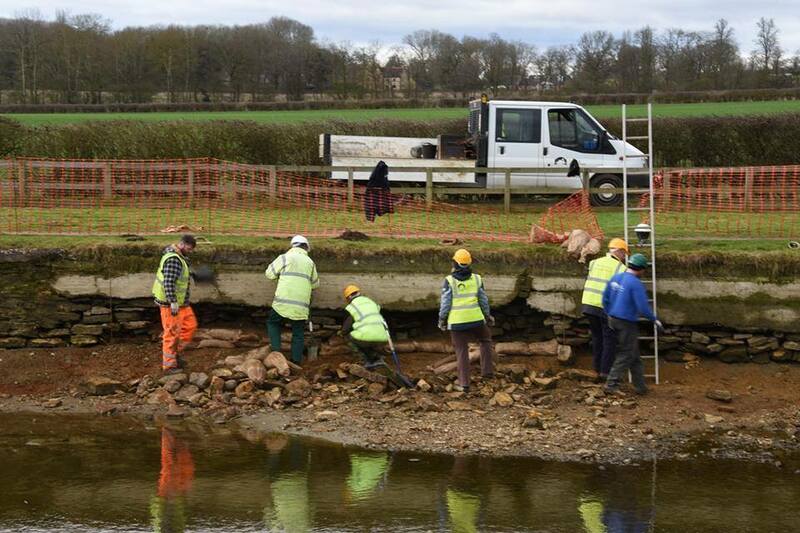 This collapse of the stonework was discovered during the de-watering of the flight - hence an urgent 'call to tools'. 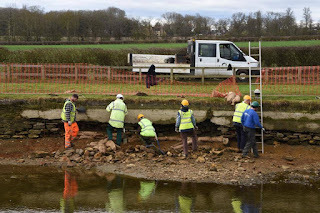 Ballast and cement filled bags were used to fill the open voids as a temporary measure - to prevent further erosion. A permanent repair can then be undertaken during the next seasons stoppage programme - after the formal permissions and resources are put in place.